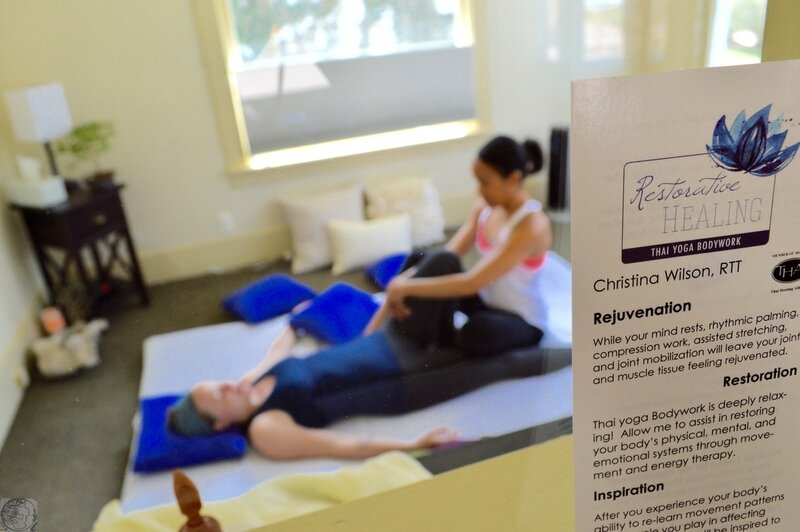 Reset, Renew, Re-energize with our local and traveling self care retreats! Learn effective, accessible tools to support your mental, emotional, and physical health with yoga! Kristen and Matt help me illuminate some of the work that takes place in a Thai Yoga Bodywork session. Please Note: All appointments are adapted to address your specific needs, varying levels of flexibility, and movement restrictions. "The Absolute best investment in myself and my structural needs!" Classes are located in the Trestle building in the Tai Chi Association of Colorado Springs classroom. When your GPS stops you in the middle of the brigde to say you have arrived proceed toward the highway turning left or right at the light called Cimino Drive to arrive at the Trestle building under the bridge. Mark your calendars for our Journey to Thailand December 2018! Yoga classes include self bodywork, breathwork, and movement for all experience levels. Mats and props provided.